The Commercial Umbrella Liability policy is designed to pick up where your general liability, business auto liability, or other liability coverage has exhausted its limits. The thing is, all businesses are vulnerable to loss no matter their size, number of employees or how well they are run. In our litigious world the plaintiff and personal injury attorneys ply the police beat like a shark patrols the ocean at feeding time. Minor claims can quickly become losses that your business cannot afford. And why would you want to? A Commercial Umbrella insurance is an inexpensive way to provide extra coverage against bodily injury and/or property damage and they cost a lot less than you might expect. A Commercial Umbrella for your business helps to defend against frivolous losses by providing a lot of financial backing to defend against liability claims that could ruin your business and reputation. In other examples, claims arise from business autos you insure when employees fail to drive carefully enough to avoid pedestrians in the roadways. Or how about slip and fall exposures? They have the potential to burn through primary limits in the general liability coverage by determined lawyers and easy juries. You shouldn’t expect that a claimant with a serious injury will “settle” for the underlying liability limits! A large loss that exceeds the limits on commercial general liability (CGL) policies are responsible for the destruction of once vibrant businesses and I am familiar with situations where assets were liquidated to raise the money to pay losses that exceed the coverage bought. I have no crystal balls to look into the future so the best advice is to have enough protection to defend yourself out from under most claims that you could encounter in business operations. Risk management can only carry your business so far and then you need the protection of a commercial umbrella. A Commercial Umbrella Liability policy is written over primary policies including commercial general liability (CGL) and business auto policy (BAP) and may apply over watercraft policies, aircraft policies, and employment practices, depending upon the exact nature of the business.. It is a layer of coverage of at least $1 Million that steps up when the primary policies are exhausted in settling a loss. Losses may occur when you lose a legal fight in court or when it is mutually desirable to settle claims by mutual agreement of the parties. A Commercial Umbrella policy may also “step down” to pick up primary losses where no underlying policy applies and where no limitation or exclusion exists in the umbrella policy to restrict coverage. It may also be forced to step down and provide primary coverage when aggregate annual limits of liability coverage are exhausted in underlying policies. 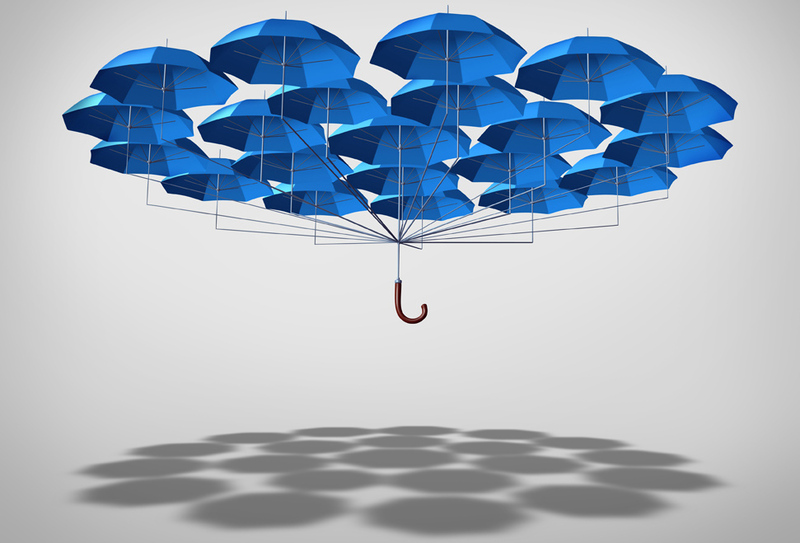 In some cases a Commercial Umbrella is subject to a deductible of sorts in the form of a Self-insured Retention (SIR) and these amounts vary up to $10,000 in the most common situations. One reason why a Commercial Umbrella liability policy has great value for a business is that it also provides the benefit of a legal defense up and until a settlement of the liability is resolved. This isn’t exactly the same as the benefit of primary liability policies. At costs of $300 an hour and more, a good defense attorney is provided by the umbrella insurance company and the cost of defense is usually paid in addition to any coverage amount you buy in your umbrella. Umbrella policies tend to provide broader liability coverage than primary policies so not having one to “follow form” can leave expensive holes in your insurance that an umbrella can solve for far less than most attorneys will bill you for your defense. Most businesses will find that a Commercial Umbrella policy is the ultimate form of business protection. I have 36 years of advising businesses and public entities of all sizes on the benefits of commercial umbrella protection. I’m a licensed Ohio insurance agent. Talk to me soon.